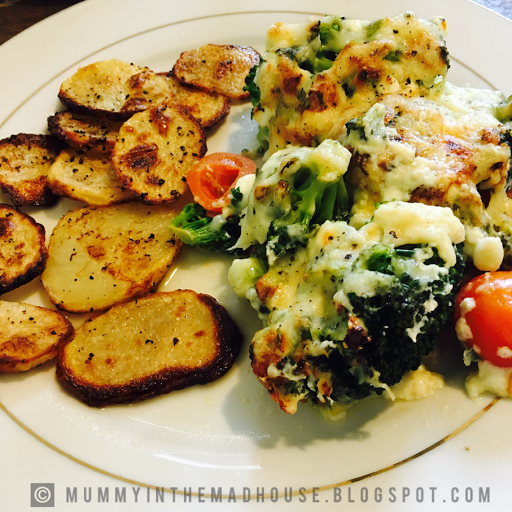 This yummy Cheesy Broccoli Bake is a perfect mid-week family meal everyone will love. Ideal for vegetarians & meat-eaters, this low calorie meal is speedy & guilt free. It's extremely quick & easy to make, making it the ideal dish to whip up when you've got a hectic evening ahead of you. 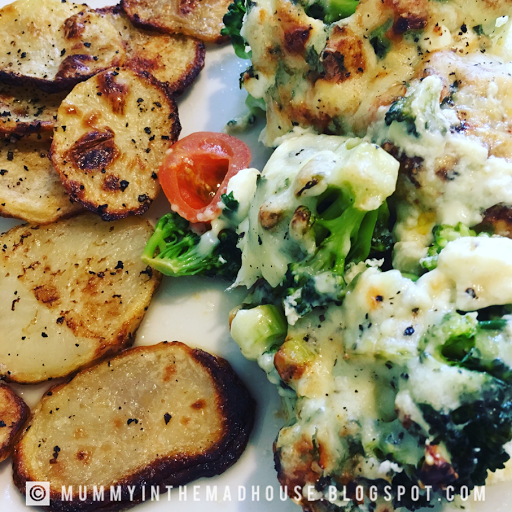 With just 15 minutes prep time & 45 minutes cook time (20 minutes for the bake & 45 for the potato slices) you can't really go wrong! Pre-heat the oven to 200 degrees, place a sheet of baking paper into a baking tray & spray well with fry-light. Peel the potatoes & cut into slices, place them into the tray and spray with some more fry-light, season with sea salt & ground black pepper and then place in the oven for 40-45 minutes. Cook the broccoli florets in lightly salted boiling water for 2-3 minutes, drain then set aside. Add the broccoli, spring onions & cherry tomatoes to an ovenproof dish. Meanwhile, whisk 2 large eggs with the cottage cheese, garlic, parsley & the salt & pepper. Pour the mix over the vegetables, sprinkle with the grated cheese to cover well. How easy is that? Definitely a meal I will be cooking more often!